In order to make money math functional for my students, I can't only do worksheets or task cards (even though I love and use both). My students need experience with as close to the real thing as they can get. Since my classroom has a lot of 1:1 aides, it is relatively easy to put these experiences into place using these instruction data sheets. However, even if you don't have a lot of 1:1 aides, this could still easily be done in a small group setting or while other students are working on worksheets/task cards. Above is an example of counting money 1, a simple couple money scenario, all with one dollar bills. 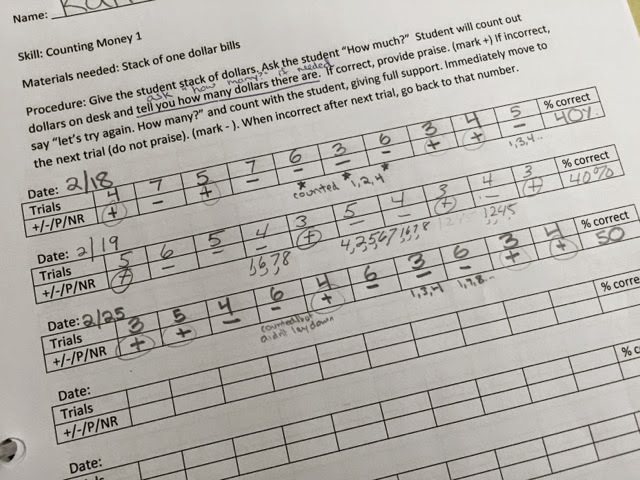 The student is given a certain amount of dollars and then has to count and tell you how many they have. For all of our money skills, I list the materials needed and the procedure for the staff to use with specific instructions to help out my aides. Counting Money 1: Student is given a stack of $1 bills and needs to tell you how much they have. Counting Money 2: Student has a stack of $1 bills and needs to give a certain amount. Which one is More? : Student is given two bills and chooses the one worth more money. 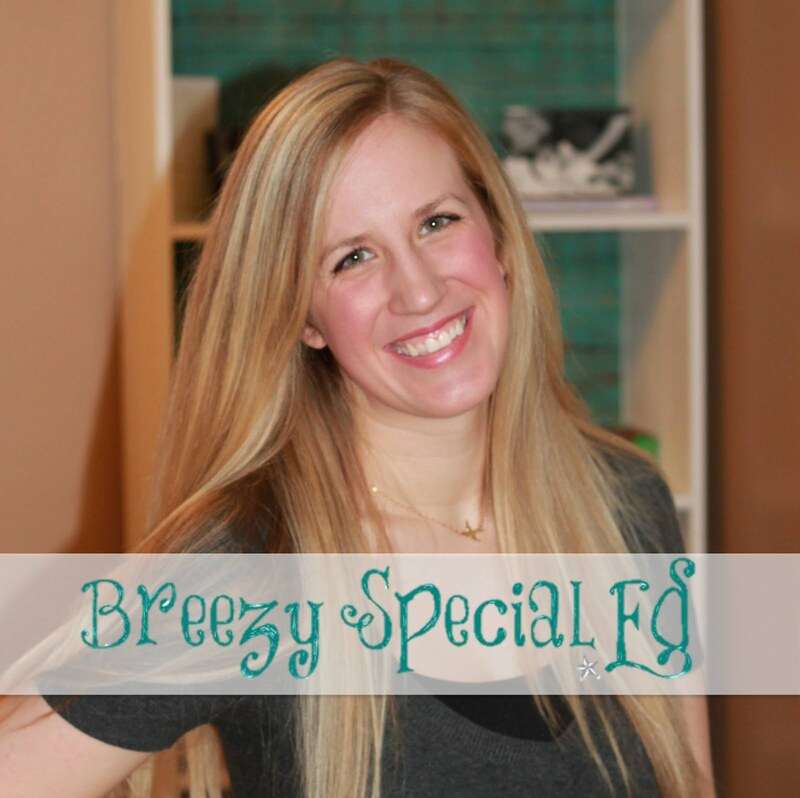 Identifying Money: Student will identify $1, $5, $10, and $20 bills. 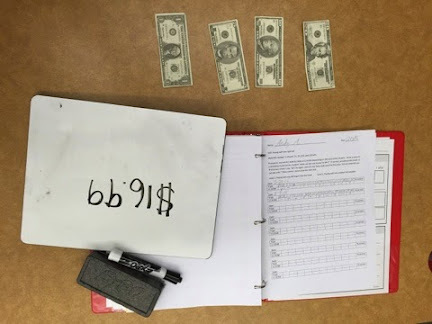 Dollar Over: Student is given a price and needs to count out the dollar over amount (using $1 bills). Paying with the Right Bill: Student chooses a bill that is more than their total to pay for their purchase (2 levels, any bill larger or smallest bill possible). Being able to show student growth is so important, and motivating for both yourself and your students. 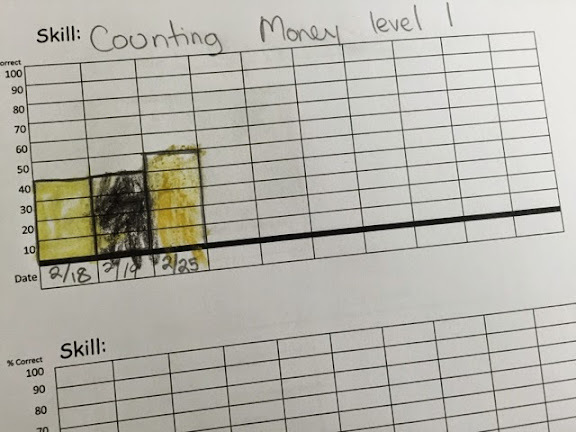 If you can get your students to participate in tracking their own scores, even better! Since each day we have the student go through 10 trials, it makes it easy to come up with their percent correct. Staff then will outline the part of the graph for the student to shade in and then they can shade it in with a crayon of their choice. It is exciting when you can start to see the graph going up! Hello friend how are you? Hope you feeling fine. I am also fine. Today i am feeling so much happy because today complete write my essay. A famous essay services review helped me to write a fantastic essay. Now i am feeling very satisfy. Thank to essay writer who help me to write a essay.